“Cool as a cucumber”" isn’t just a catchy phrase. 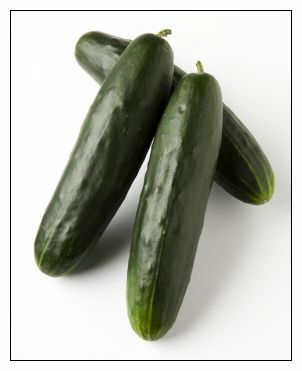 The inner temperature of a cucumber can be up to 20 degrees cooler than the outside air. Cucumber has 96% water content that is more nutritious than regular water, which helps in keeping the body hydrated and regulating body temperature. The flavor comes from their seeds. Medium-sized cucumbers with soft small seeds have better flavor.